The Legend of Mistico ended in Mexico. 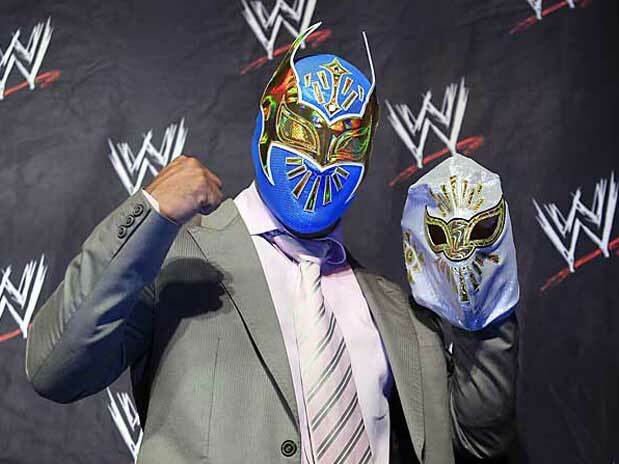 Mistico who had joined the clan of rudos some time ago was today officially presented as a new member of the WWE with its new name and also a new mask "Sin Cara". In a press conference held in Mexico City, it will be the new Mexican wrestler in the team of the American event society : the famous WWE. As the "mystical" cut ties with the Council Mundial of Lucha Libre (CMLL) he has also thereby waive his name "Mistico" to assume a new identity under the aegis of the WWE: he is now "Sin Caras". So good-bye Mistico and WELCOME to Sin Caras !